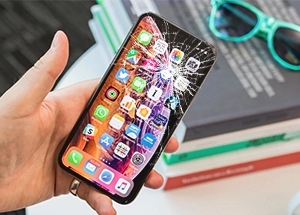 A little after a week from the release of the iPhone XS, smartphone users everywhere are wondering how susceptible the iPhone’s latest model is to a variety of damages. Luckily for us, tests and reports are coming out revealing the durability of the iPhone XS since its release. With promises of a strengthened durability for the new models of iPhone, Apple has a lot to live up too! So do they make the grade? 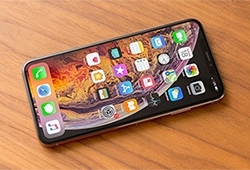 In the below blog post, we have taken a look at the latest released tests and what they mean for the damage-free longevity of the iPhone XS. 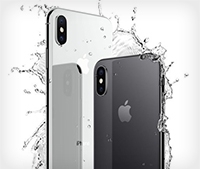 When thrown into a pool of water, the iPhone XS was submerged for roughly 30 minutes to test against Apple’s claim that it could survive such duration without being damaged. The result? After washing the device clean of chlorine in drinking water and drying the device, as recommended by Apple, the iPhone XS worked perfectly! There were no noticeable damages or hiccups to the interface or touch-screen of the iPhone. In additional tests, it was also determined that Apple’s claim of the iPhone XS being able to withstand submersion in orange juice, tea, wine and beer, also proved to be correct. The end result of all these tests determined that there was no noticeable damage to the buttons, touch screen, or microphone. The only slight hiccup was water appearing to come out of the speaker; however the speakers did still seem to work. For the drop test, there were a few tests conducted: 3 ft drop with the screen side down, 3 ft drop with the screen side up, 5 ft foot drop free fall, and a 5 ft screen side down. The consensus for all tests was that there was no major damage as the result of any of the falls. There were minor dents and debris that was noticeable in the camera area of the phone, however the screen and body of the phone remained intact and without major damage. According to the above tests Apple seems to back up its promises! Do these results change your mind as to whether or not you would purchase this device? Well, if you are still considering purchasing the iPhone XS, make sure your device does not go unprotected from a variety of unforeseen accidental damages. We cover damages including: accidental damage, cracked screens, liquid submersion, theft, vandalism, fire, flood, natural disasters and power surge by lightning depending on the device. Get a FREE Quote for iPhone Insurance!